Sweater Weather: Pierre Pilote would go on to claim three Norris trophies as the NHL’s primo defenceman, and he was the runner-up on three other occasions. He helped Chicago win a Stanley Cup in 1961, and captained the team for seven seasons after that. He was elevated to the Hockey Hall of Fame in 1975. Before all that, in September of 1956, he was just 24, seen here (on the right) as he headed into his rookie season. 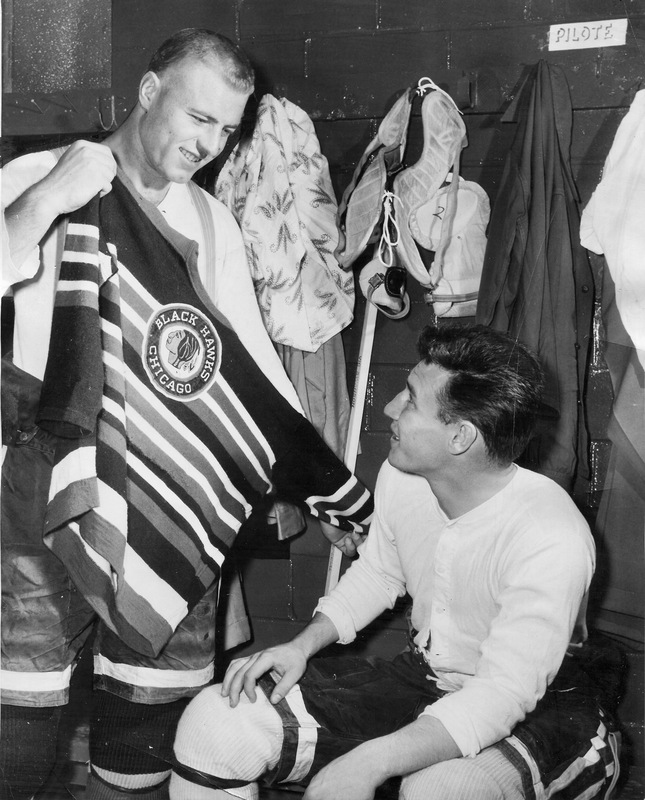 To the left, amid assorted underclothes, is the man who’d become a regular blueline partner, Elmer (a.k.a. Moose) Vasko.